With one eye firmly fixed on moving to the Gaumont, it must have been a little unsettling for the Society to be invited to start the Guildhall’s Golden Jubilee celebrations with their next production. 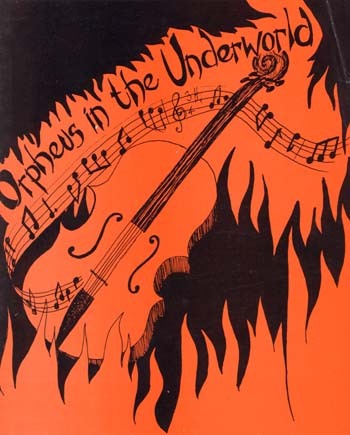 Also, the recent practice of performing two shows a year, meant that the G&S favourites came round very frequently so the Committee decided to revert to Orpheus in the Underworld to mark the occasion. 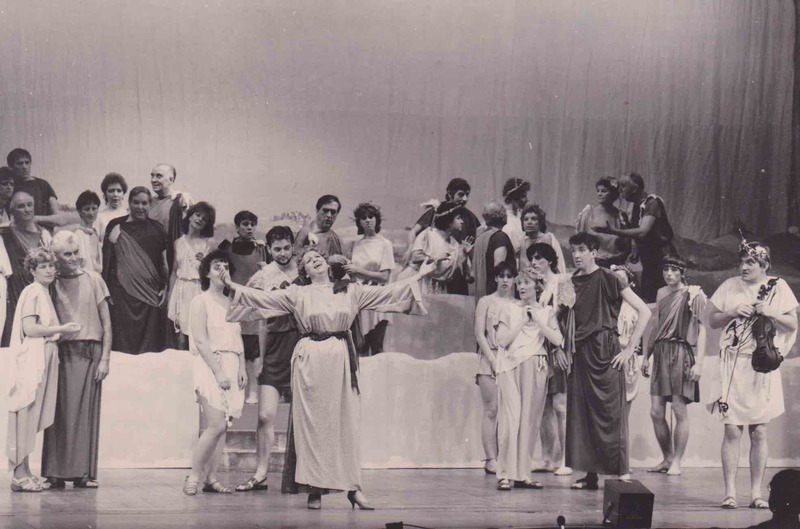 The chorus was back in force for the main show and, even after ‘removing’ 15 principals, there were still 31 to organise on stage (plus six children, five Can-Can Dancers and three ‘extras’); this job fell, once more, to Pam Hoskins whilst Philip Johnson returned as MD. Attendance at rehearsals was monitored closely but it was discovered that, according to the rules, 25% of the cast had actually forfeited their right to be in the show! The fact that Allen Mansell (Orpheus) had missed many sessions due to a sore throat did not help the situation either. 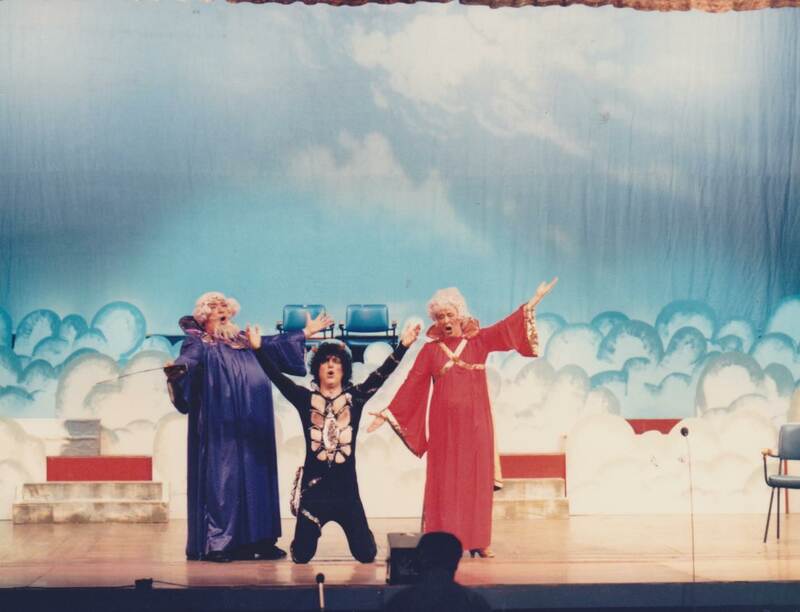 Three members complained that the production was ‘too provocative’ and this was making ticket selling very difficult. Brian Howard was asked to discuss this with the Producer. With the extra cost of royalties and tiered seating, the Committee had anticipated making a loss on Orpheus and they were not disappointed in that respect; they would have been surprised that ticket sales were down by £2000 though and were alarmed at losing £4995 on the project.